Every day, individuals in our society are catastrophically and permanently injured or even killed as a result of a defect in an automobile, truck, motorcycle or some other type of motorized vehicle. Designers, manufacturers and sellers of motor vehicles have a responsibility to design, develop, manufacture, market and sell these vehicles in a non-defective manner and to not misrepresent the vehicles capabilities. Further, there is a duty on the part of the manufacturer to warn the operator or occupants of dangers and hazards that are present, but not obvious, when occupying or operating the vehicle. Unfortunately, the manufacturers of these vehicles often fail in this regard. In the manufacturer’s haste to get a competitive vehicle to market, it sometimes fails to adequately study or test certain design features of the vehicle to determine if in fact a dangerous condition has been created. Likewise, the manufacturer may fail to include state of the art safety features or mechanisms that could save a life or prevent personal injuries. Over the years, manufacturers in general have gotten better in terms of quality control and evaluating vehicles for defective conditions or components but even today, we continuously hear about vehicles being recalled from the market. Individual owners of vehicles are seemingly inundated with recall notices in the mail with a request for the consumer to immediately take the vehicle to a local dealership for various repairs. While these recall notices and requests for repairs are a positive development in terms of safety, one would think that a fundamental flaw in the design and manufacturing processes must exist in light of the tremendous number of vehicles being recalled from the market. The National Highway Traffic and Safety Administration (NHTSA) is a federal agency that is assigned with the task and responsibility of regulating safety standards in the automobile industry and transportation. The mission of NHTSA is to reduce the number of injuries, fatalities and societal costs stemming from motor vehicle accidents. While NHTSA has played an important and positive role in this area, it simply cannot do enough in light of how big the automobile industry is relative to the resources and manpower of NHTSA. Self-governing and ethics by the automobile industry is the most effective way to keeping cars and drivers safe. In recent years, General Motors had a major recall involving problems or defects associated with its ignition switch and Toyota had a recall involving sudden and unexpected acceleration of its vehicles. Our law firm previously handled and/or evaluated claims associated with these defects as well as many others including the Ford F150 and F250 inadvertent airbag deployment defect. An experienced attorney at Hollis Wright can help you get the compensation you deserve if you or a family member were injured or killed from a defective motor vehicle. The attorneys at Hollis Wright bring over 100 years of combined experience handling automobile and trucking defect cases. Our attorneys have represented many people over the years in a wide variety of defective automobile cases. Our attorneys, and the engineers we retain, can help determine the precise nature of the defect and how the defect caused the accident and resulting injuries. If you sustained serious injuries, then you likely received significant medical treatment and may not be able to work and/or pay your bills. The designer and manufacturer of a defective automobile or truck can be held liable for all costs including medical bills, lost wages, damages for pain and suffering, permanent injury and disfigurement. If a loved one died in an accident while using or occupying a defective motor vehicle, then the heirs or family members have a right to pursue a wrongful death claim. 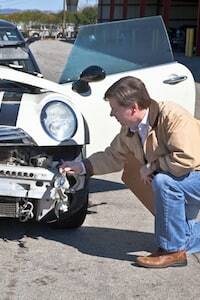 The Birmingham, Alabama automobile product liability attorneys at Hollis Wright Law Firm should be consulted today to help you obtain the maximum compensation that you deserve and need.